This is the testimony of Kumar, who has done one step towards his father. People quarreled with my friend ; contrary to his expectations, then they came to meet him. And they also apologized to him. Today the same people have got my friend bailed out. I also had a similar experience. 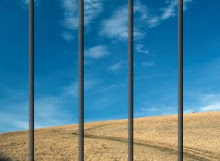 I had never expected that my family would come to meet me because I only had stubbornly got myself sent to jail. My family members were quite upset and didn’t want to discuss about me with anyone. Being in custody, I too was unable to contact anyone. But one day, my uncle and my father themselves came to meet me and they also seemed anxious to get me released. I only advised them not to get my bail done as the date of my hearing was around the corner and I was hopeful of an early resolution of the case. Anyhow, it didn’t happen so but at least my father met me once again on the day of my hearing. Some similar differences are the cause of the ongoing struggle between us father and son duo. And when nobody had come to meet me, hatred had started flourishing in my heart as well. Then, I started experiencing a change of heart in me. Now I feel that it’s a blessing if my father’s behavior of enmity towards me since many years starts changing. Similar blessings will keep on giving hope to the inmates here and keep transforming this supposedly bad environment into a virtuous, peaceful, blissful and stress-free environment. It will keep kindling hope amongst the despondent prisoners. It will keep transforming the negative thinking to positive thinking. I am very moved by the sudden transformation of my feelings of anger and revenge. 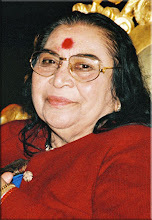 Shri Mataji, I thank you again and again.